The Renaissance was a time of internationalization of musical styles. Through alliances, and political marriages, but also conflicts and wars, music and musicians travelled all over Europe, bringing the diverse national trends into contact and exchange. 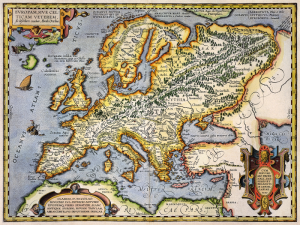 Europa 1500 A.D. is a journey through vocal and instrumental pieces conforming an European “hit parade” at the beginning of the XVIth century. Music by Jacob Obrecht, Pierre de la Rue, Arnolt Schlick, Heinrich Isaac, Bartolomeo Tromboncino, Antonio Caprioli, Marchetto Cara, Josquin Desprez, Juan del Enzina, Juan de Urrede and Matthaeus Pipelare.